Teens struggle with many things and often times don't know how to cope. 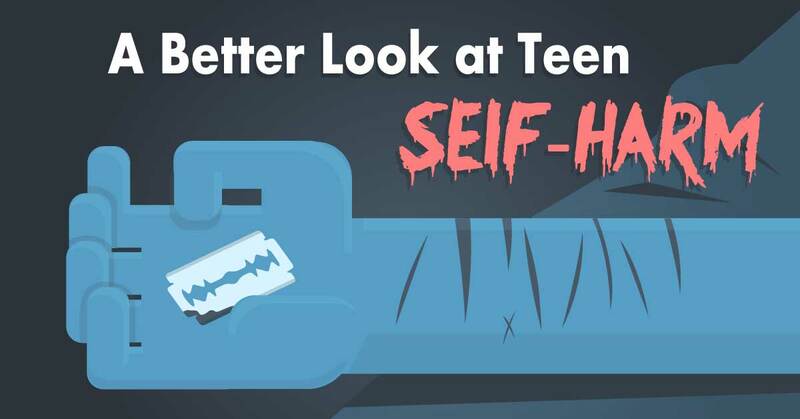 Because of this, teens can develop bad habits and self-harm may be one of the most gruesome. Self-harm is often a way for teens to feel that they have gained some control of their lives during difficult situations. Also, many feel that they have lost the sense of feelings and emotions, in which they turn to self-harm to become a way for them to 'feel' again. The dangers are clear but many teens need the support of loved ones, and even the help from professionals, to kick this dangerous and unhealthy habit.